Renude Laser Tattoo Removal Tattoo- Find the best tattoo artists, anywhere in the world. 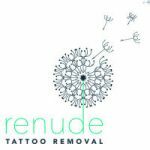 The best Laser tattoo removal in Sydney, Renude Laser Clinic. Our Sydney tattoo removal clinic is equipped with the most advanced Q-switched laser and Low Level Laser Technology (LLLT). This advanced laser tattoo removal equipment is able to remove all tattoo colours in fewer treatments and with less discomfort. State of the art equipment is complimented by friendly specialist tattoo removal staff providing procedures in a safe and comfortable environment. The team is led by Dr Catherine MacInnes, with over 25 years in the health care industry. 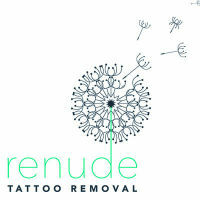 If you want to remove a tattoo or fade a tattoo to replace it with a new piece, contact the renude laser clinic today. We are conveniently located in Lane Cove, Sydney. Just minutes away from Ryde, Chatswood, North Sydney and the Sydney CBD. Fast track your tattoo removal with Sydney’s most advanced laser tattoo removal services at renude Laser Clinic.